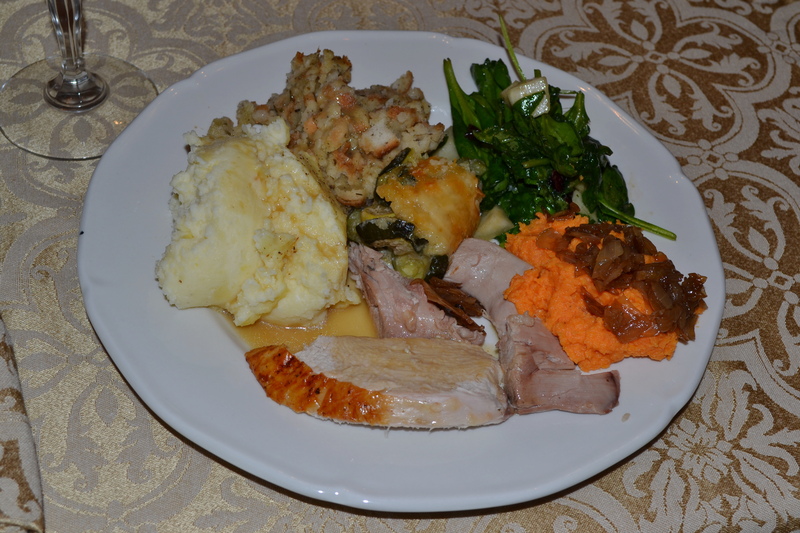 To follow-up on yesterday’s Thanksgiving Recap post, I wanted to share the three recipes I contributed to my family’s feast. At my mother’s request, I brought my Eggplant Dip, my Chocolate PB Chip Cookies, and Mashed Sweet Potatoes with Caramelized Onions. These sweet potatoes were creamy with a little tang from the goat cheese, and the caramelized onions were the perfect complement. This dish was so simple, portable, and is sure to become a new holiday staple! First roast your sweet potatoes on a baking sheet covered with foil in a 400 degree oven for an hour. 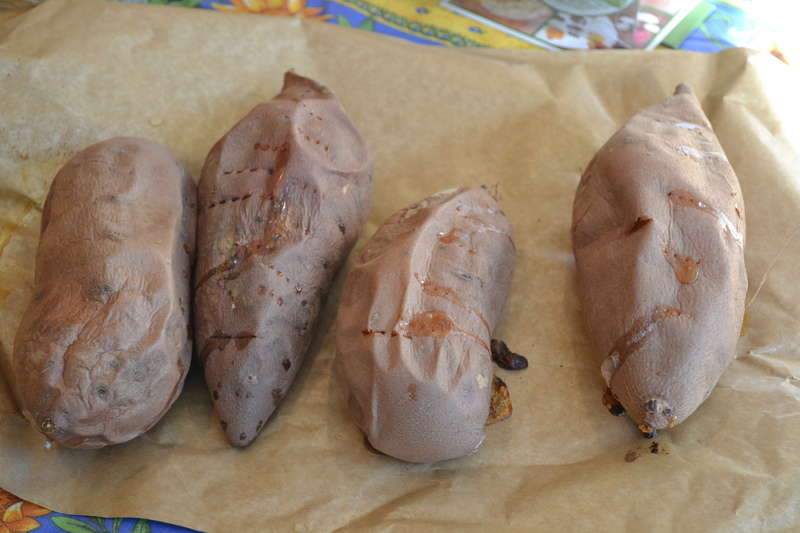 Make sure to poke several holes in each sweet potato with a fork to let the steam escape. 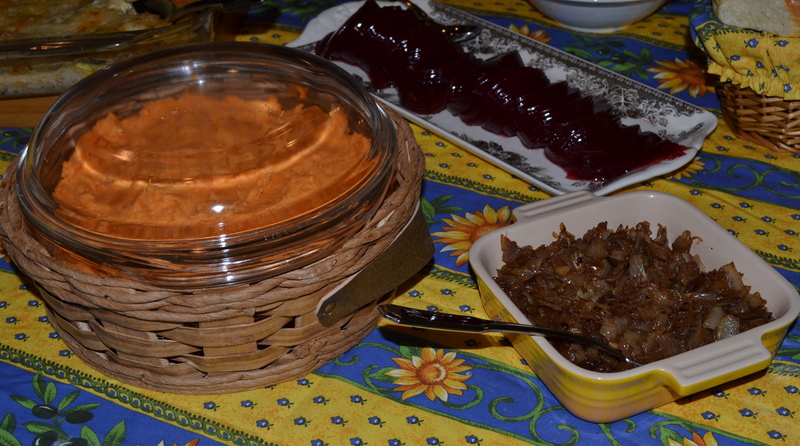 Your sweet potatoes will be finished when a fork can easily be inserted and the potatoes are tender. I roasted these the night before to save a step on Thanksgiving. Once the sweet potatoes cool, peel off the skin and transfer cooked potatoes to a large bowl. Add the goat cheese and mash the two together. Once combined, melt butter in the microwave for 40 seconds, and then pour over potatoes. Add salt, pepper, and fresh nutmeg to bowl and stir. After you finish with the potatoes, chop two large onions. Transfer the onions into a pan over medium heat coated with 1 tbs of olive oil. Stir the onions to coat and let them sit for 15 minutes or so, stirring periodically. They should look similar to the above picture. After about 15 minutes, add 1 tsp of sugar to the pan and stir. Cook for 15-20 more minutes stirring periodically to make sure the onions do not burn. 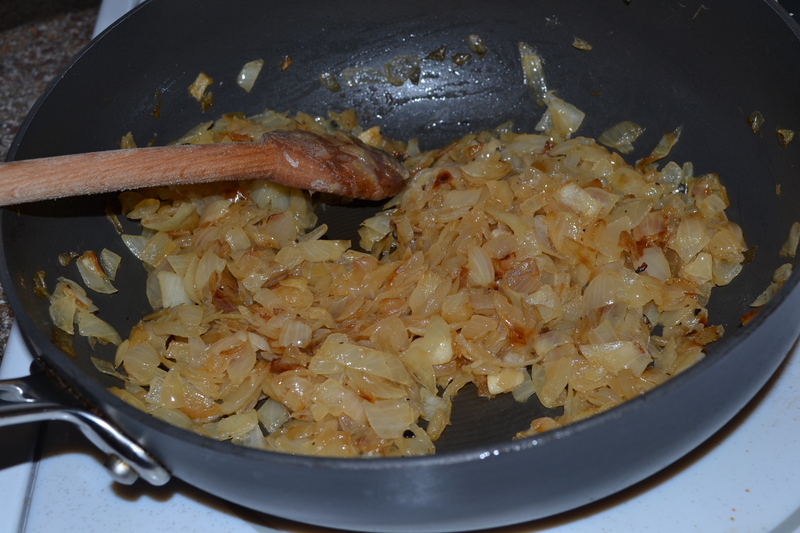 The goal of caramelizing onions, is to release their natural sugars and soften them just shy of burning them. Stir the onions from time to time during the cooking process, but do NOT over stir. This will prevent the onions from ever caramelizing. TRUST, I think this is what took me so long to finish mine. Top the mashed sweet potatoes with the caramelized onions, and serve warm. My father is not a big onion fan, so I served them on the side for him. Hey, it’s the holiday season and I was in a giving mood! 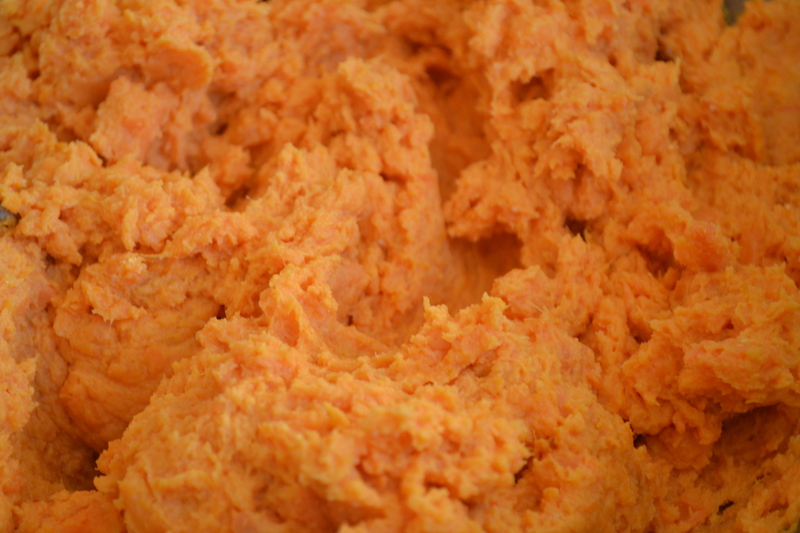 These Mashed Sweet Potatoes stand on their own, but give them a try with the onions if you are not opposed to them. I think they really give this side its pop.